If you celebrate Christmas, you're probably on the hunt for tasty holiday recipes. 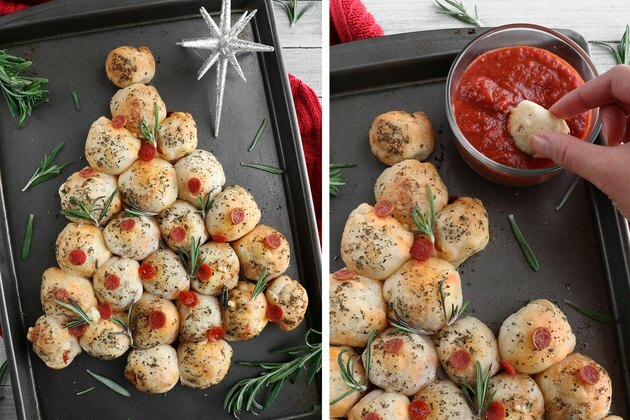 And while pizza isn't the most traditionally festive dish, it's safe to say that everyone loves it. So, why not use it as inspiration for a pull-apart bread recipe? You can be sure that it will be a hit, whether you're hosting a potluck or feeding a crowd. 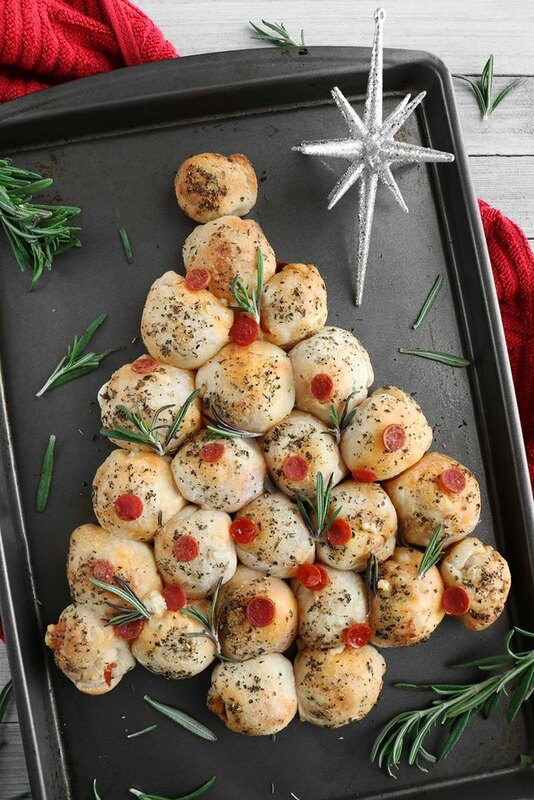 Plus, by arranging the bread in the shape of a Christmas tree, you can instantly give it a seasonal spin. Read on to learn how to make it! To quickly soften the cream cheese, microwave it for 20 to 30 seconds. Pre-heat the oven to 400° Fahrenheit. In a bowl, combine the softened cream cheese, mozzarella cheese, pepperoni, and 1 teaspoon of Italian seasoning. Mix well. Roll out the pizza dough onto a flat surface. With a pizza cutter or knife, slice the dough into 24 equal squares. Now, it's time to add the pizza filling. 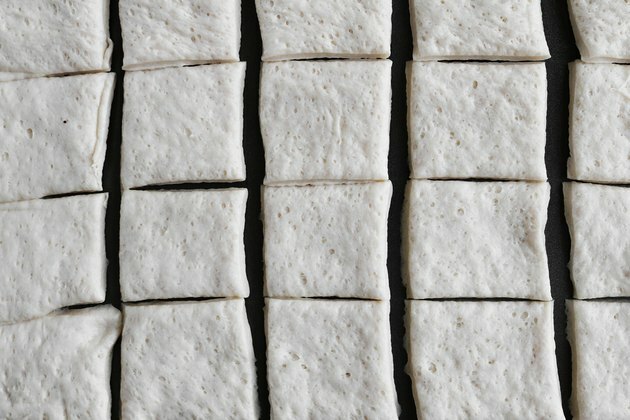 Stretch out each square of dough. Add about 1/2 tablespoon of cream cheese filling to the center. 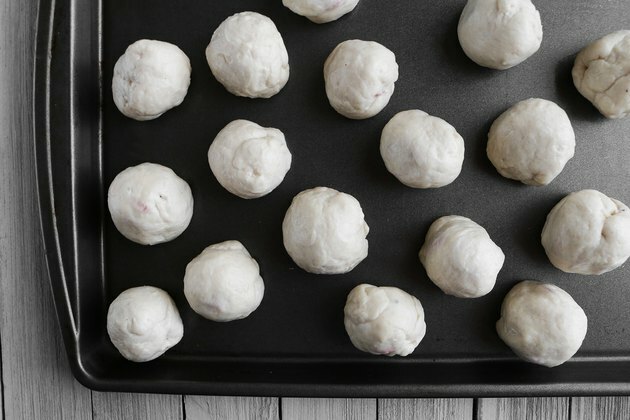 Fold up the corners and roll the dough into a ball. Make sure the filling is completely encased in the dough. Repeat the process until all 24 pieces are filled and rolled up. 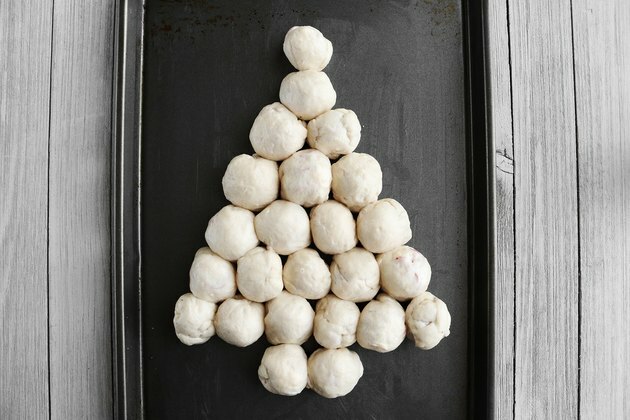 On a greased metal baking sheet, arrange the 24 pieces in the shape of a Christmas tree. In a small bowl, mix the melted butter, 1/2 tablespoon Italian seasoning, and garlic powder. 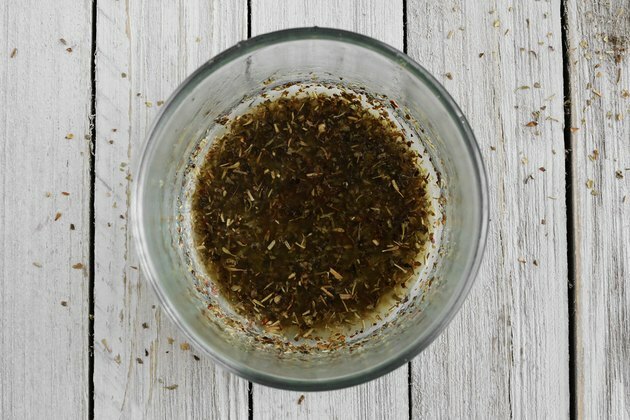 If you want a more intense garlic flavor, add more garlic powder. Brush the butter mixture onto the pull-apart bread. 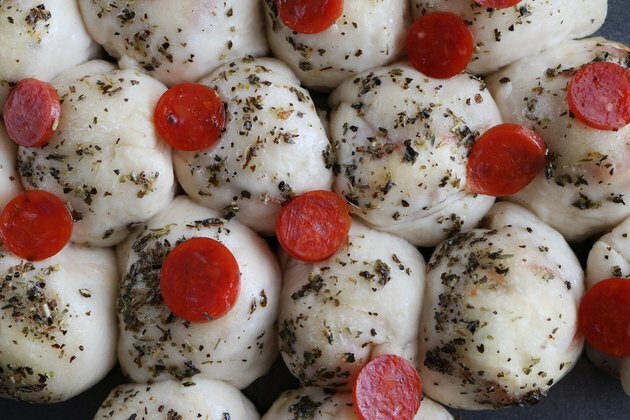 If you'd like, add mini pepperoni "ornaments." Bake for 20 to 25 minutes or until light golden brown. Garnish with fresh herbs, such as rosemary or oregano. Serve with a side of warm marinara or pizza sauce. 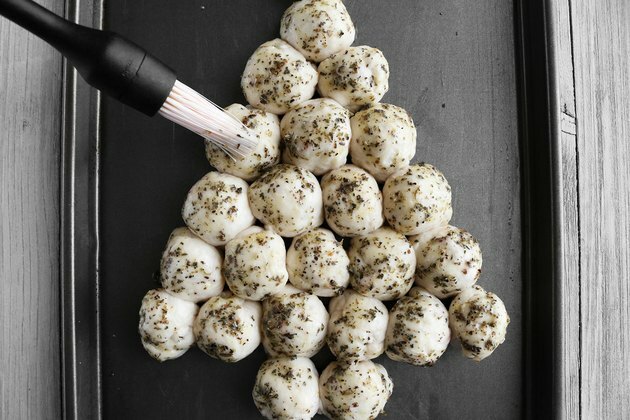 This festive recipe is easy to make, share and eat. Happy holidays!